I read the information on your site and I find it to be very helpful so I’m hoping you can help me… We recently purchased a home in Warren, NJ that backs up to woods so there are some pretty large spiders around the property and in the detached garage. They seem harmless, they are large and dark in appearance (dark brown/almost black), and slightly resemble those big flat water spiders you see sometimes. They also get in the basement of the house and I suspect they come in through the vents that lead in to the crawl space. The crawl space leads me to my next issue: Cave Crickets. The crawl space has approx. 2-3 ft ceilings and is elevated about 5 ft. off the ground (it runs underneath a large family room that was an addition to the house, its 16×23 ft in size)… I haven’t seen any cave crickets yet, but I have experience with them and I am already thinking that I will eventually see them in the basement since they will definitely be attracted to the cold/dark/dampness of the crawl space. We are getting ready to start extensive construction to the house this month (it will take about a year), so I’m not sure if it’s worth treating the basement now or if I should wait until next year when the house is done (one question I need your input on)… Also, we are adding a front and back porch to the house so I’m concerned that the cave crickets will also gravitate towards those areas (and I’m not sure how I’ll be able to treat underneath a porch once it’s built, there is NO way I’m crawling underneath it to spray anything). Sorry for the long email, but I’m looking for advice on effective spider/cave cricket treatments for the garage/basement/crawl space/porch areas, and also whether or not you think I should do it now or wait until construction is over. I appreciate your input…if you could tell me the best products and applicators that would also be helpful. Thanks! There are many kinds of spiders that can be found active around most any property but as our SPIDER ARTICLE explains, the ones that create webs tend to feed on flying insects and the ones that forage on the ground tend to be looking for ground dwelling insects like cave crickets. Now the treatments you’ll need to do for ground dwelling spiders will no doubt take care of crickets that want to live in the same area so you should be able to control both spiders and cave crickets with the same products. This will enable you to treat the same pests at the same time using the same products. To accomplish this, I recommend applying BIFEN GRANULES around the home. The treatment zone should be a 10-20 band of treated area all the way around the house. Apply them every 2-3 months focusing on flower beds, grass, mulch, pine straw, etc. Use a GRANULE SPREADER to make the application. Next, spray the foundation of the home with SUSPEND using any standard PUMP SPRAYER. It’s a long lasting product that should be applied following the same schedule as the Bifen Granules. 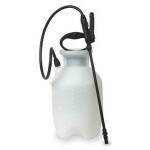 Suspend can be sprayed inside your crawl space or under the porches too as well as inside the home if needed. Odorless and highly effective on a wide range of pests, Suspend is a good concentrate for regular pest control treatments. Now if the home is going to have wall voids and other spaces accessible during the construction work you’ll be having done, I advise you to treat with DRIONE DUST inside any wall voids and attic spaces that might be open. This treatment will last a year or more and works great at keeping out pests where it’s dry. For the crawl space, the DELTAMETHRIN DUST listed in our CAVE CRICKET ARTICLE would be a better dust to use since it’s designed to work in moist areas. Apply either dust with a DUSTIN MIZER. Now since you didn’t mention how the areas under the front and rear porch will be set up after constructed, I feel I should mention the need for some type of access point to be installed. This could be in the form of a trap door, window or hatch of some sort. The goal here is to have some way of gaining access to the area so if at some point in the future you need to do some maintenance or get a look inside the space, there will be a way to have this vantage point. This access point could also be helpful by letting you use it for treating the space. Since these areas are usually well protected from the elements, treatments applied here will last a lot longer compared to treatments done outside in the open air. For this reason you won’t have to spray or dust there much. Maybe twice a year. Of course this could change but in general, if the space is well protected from rainfall and sunlight, treatments can last a good long time. The only other treatment I’d recommend would be some PHANTOM AEROSOL for use inside the home. 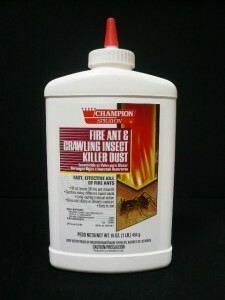 It will handle spiders and crickets fine and since it’s odorless and goes on dry, very handy to use in the home. I use it all the time in my home mostly due to the fact that I have so many wood floors. Phantom is ideal for my needs since you don’t even know it’s been used. I need something for wolf spiders. I have seen one in my living room and one in our laundry room. I live in a old house that has been remodeled. Please help. If you review our Spider control article, you’ll learn that wolf spiders are predatory and don’t use webs to capture their prey. Instead they cover large areas of turf “hunting” down their food. For this reason, it’s imperative that you treat the outside of the home. More specifically, the turf around the house as well as the homes siding. These areas are extra important when dealing with wolf spiders because they will have to travel over these surfaces to get inside your home. And if you have these areas well treated, you’ll be able to keep them out of the home altogether. So for starters, get the lawn, flower beds and mulch areas around the home treated with Bifen Granules. Next, spray over the top with some Cyonara RTS. Be sure to spray all your grass, mulch, flowers, bushes, etc. as well as the homes siding. And don’t be afraid to spray 5-10 feet up the siding since wolf spiders will readily crawl up 40-50 feet and enter through attics. For inside the home, treat all your baseboards, around windows and doorways and any other crack or crevice where you think they might be entering or hiding with Phantom aerosol. This product is odorless and goes on “dry” making it a great choice for use inside living areas.